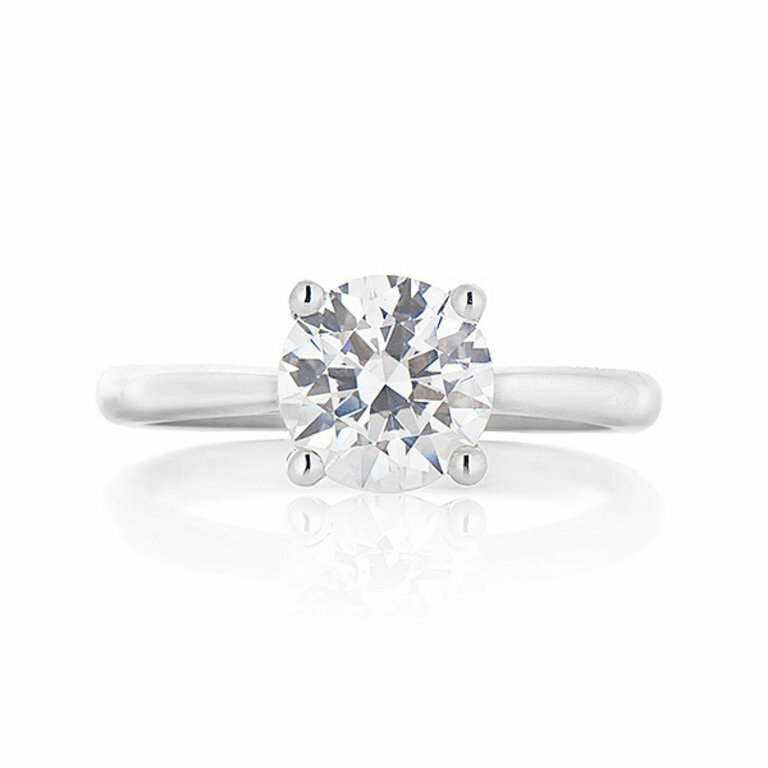 Ladies diamond solitaire engagement ring of classic styling. 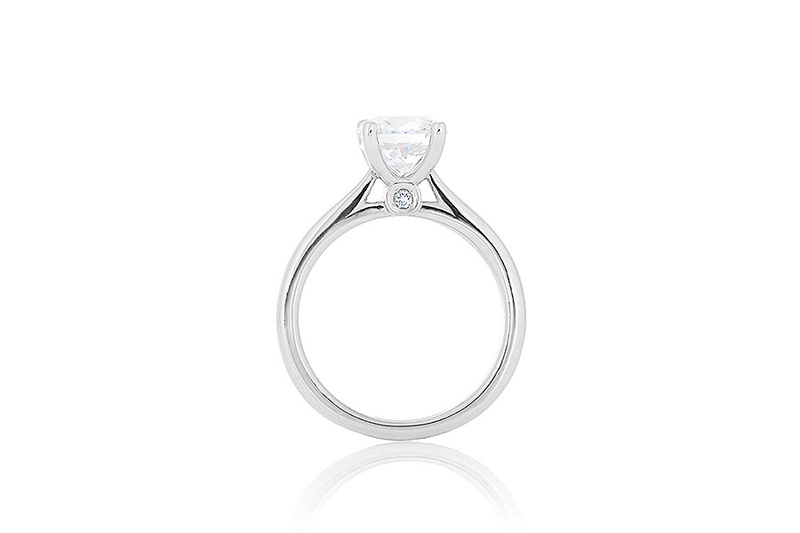 The 'Stefani' engagement ring is crafted in 19k white gold and is set with one round brilliant cut diamond at center that is independently certified. This diamond has a weight of 1.50ct, a clarity of SI-1 and a colour of F, with a Very Good cut. 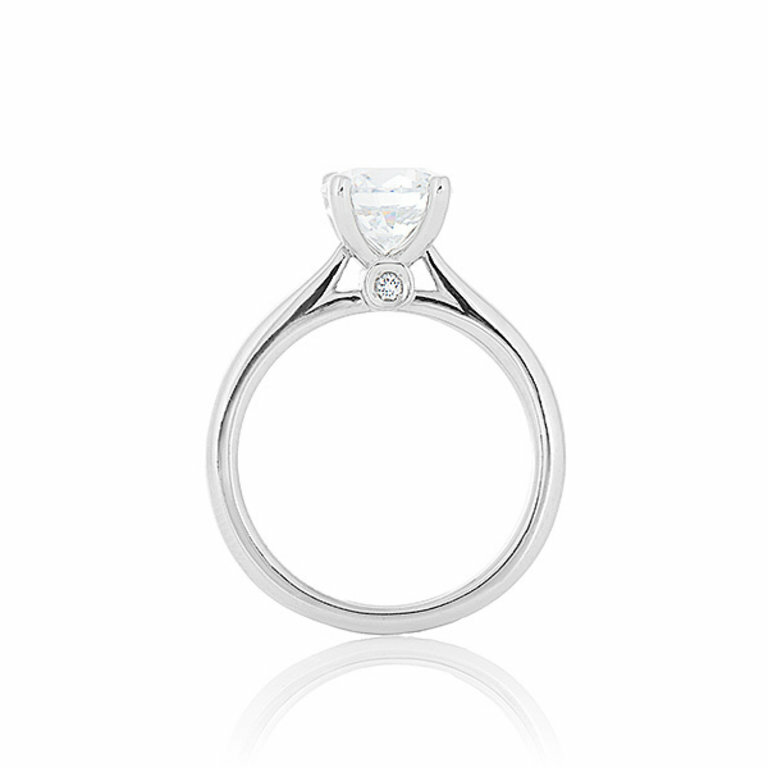 On the outside edges of the center setting there are two round brilliant cut diamonds that are full bezel set. These diamonds have a combined weight of 0.03ct. 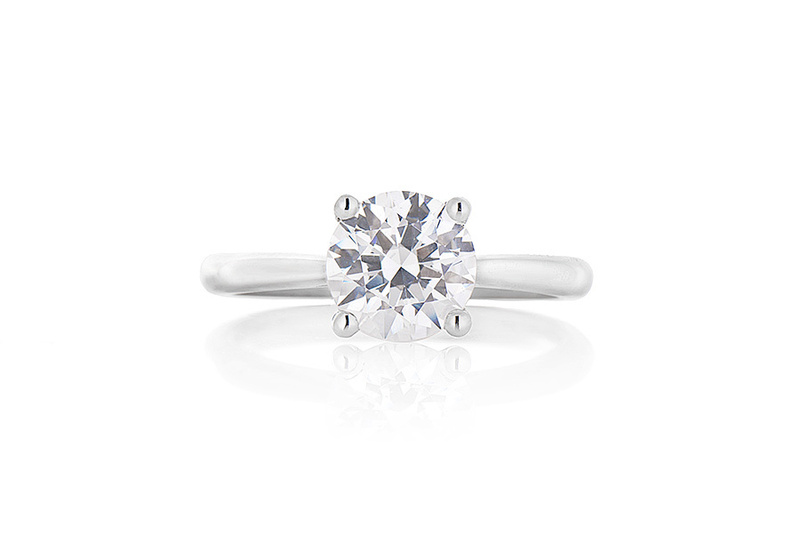 The remaining shank of the ring is tiffany in shape, high polish in appearance and tapers in slightly towards the center diamond.